A review of a children’s blackout blind isn’t the sexiest topic, I’m fully aware. This probably isn’t a post for everyone. However, after two years of regular travelling, first with an infant and now with a toddler, I have tried and tested a fair bit of kit, some I’ve loved and some…..not so much. 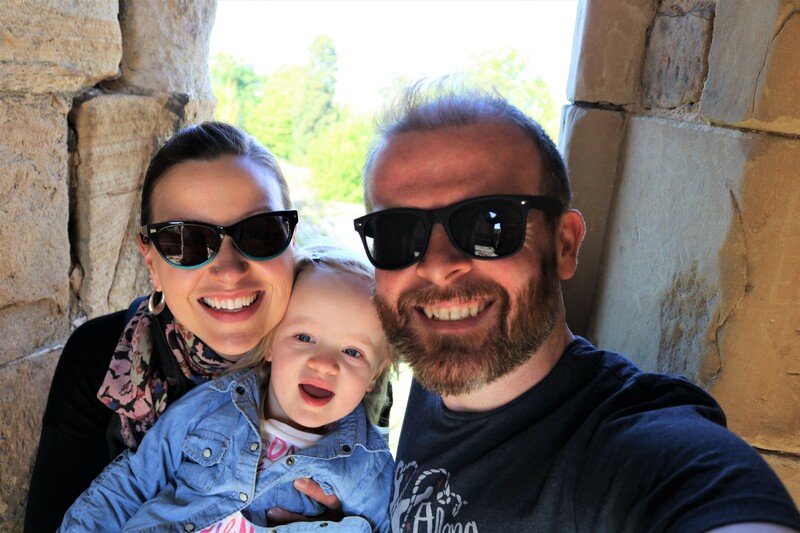 I know how much I appreciate online reviews, and with that in mind, I’ve decided to start a regular review feature that I hope will be of some help to other parents and carers that are thinking of travelling with kids. First up, something we never leave home without, The Gro Company Gro Anywhere Blackout Blind. Babies and sleep, they are two inextricably linked topics. All new parents are at some point walking zombies, drinking litres of coffee and using toothpicks to prop open their heavy eyelids while trying to make life and death decisions regarding their spawn, the evil little sleep thief themself. For the first year and a half of our daughter’s life we were woken by ear-piercing screams at least every three hours, every damn night! As the parent of a newborn baby you expect a certain level of sleep deprivation, but our kid took this to another level entirely. We would rock, bounce, shush, walk, feed, soothe and do everything our exhausted brains could fathom to try to get her to go to sleep, and then stay asleep, but generally to no avail. Some people are lucky enough to have a child who simply decides that they are tired, closes their eyes and then proceeds to sleep soundly in any and every environment. Not everyone is so fortunate. Our daughter is a light sleeper who has always been disturbed by the tiniest of disruptions. If the conditions aren’t perfect, she simply will not sleep, regardless of how tired she is. During this time of absolute sleep torture I became obsessed with trying to figure out what exactly we were doing wrong and what changes to her sleep routine might make her stop torturing us each and every night. Enter The Gro Company Gro Anywhere Blackout Blind. From early on we put blackout curtains in the nursery, hoping that blocking out a reasonable amount of light would help with the sleep issue. It quickly became clear that a bit dark was not sufficient for our little bundle of joy, it needed to be absolutely pitch black before she would even consider closing her eyes. As we live in a rental property anything that required permanent installation wasn’t an option, so the temporary nature of the Gro Anywhere Blackout Blind was a perfect solution for us. Also, as we’re regular travellers, having something that we could easily pack and bring along with us made it a perfect two-for-one! The Gro Anywhere Blackout Blind is a portable blackout blind which attaches to the window with suction cups and is re-sized to fit different windows using velcro patches. The suction cups are set slightly back from the edges so that the black-out fabric extends over the window frame, providing maximum light exclusion. Let me start by saying that this blackout blind comes everywhere with us. Anytime we try to put our daughter to sleep in an undarkened room, particularly for a nap, we quickly meet with failure. It’s easy to install, looks attractive, packs up easily and all-in-all does what it claims, blocks light. I also like that the plain black design means that it would be perfectly acceptable for an adult to use as well. The blind has been a permanent fixture in our daughter’s room for about a year and half now and there has been absolutely no deterioration or fading in the fabric, which I think is pretty notable considering that permanent installation isn’t really what it was designed for. All that being said, I do have a few complaints. First and foremost, some days no amount of breathing, licking, or swearing will keep the suction cups attached to the window. There is nothing worse than getting the kid to sleep only to be awoken by a slowly detaching blind. I have a long running hate/hate relationship with suction cups though. Why can’t anyone seem to perfect the design of the flipping things!? I’ve come up with a pretty simple solution for this issue though, which is to close the blind in a window, assuming there is an opening window in the correct position. If this fails, I use tape. I am seriously serious about keeping the room dark! I’m willing to accept that this issue might be more down to user error than a design flaw, so maybe take it with a grain of salt. Also, despite the fabric extending beyond the edge of the window, a certain amount of light still seeps in. If you can close curtains over top of the blind you’ll probably be ok, but I sometimes still can’t get the room quite as dark as I would like. Again, I’ve used tape in this situation. Seriously serious. These complaints not withstanding, the Gro Anywhere Blackout Blind has been a godsend for us. It is a permanent fixture in our daughter’s bedroom and it always travels with us. This is a much better solution than the tinfoil and masking tape that we previously travelled with, trust me! I give the Gro Anywhere Blackout Blind a solid 4.5/5 star rating and would definitely recommend the blind to anyone and everyone. Have you ever used the Gro Anywhere Blackout Blind? What was your experience?